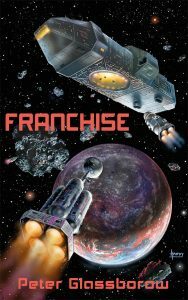 On RisingShadow.net recently, Seregil of Rhiminee reviewed Peter Glassborow’s novel Franchise, the first of the Cornucopia Logs. Seregil describes it as “an entertaining and fast-paced space opera novel that is easy to like” that he enjoyed because it approaches space opera elements “from a slightly different angle”. Peter focusses on writing about Jack Rakai, his wife Pam and their family, and how they deal with the problems and situations that unfold. As a result he “brings a fair amount of warmth to the story… something that is not often found in modern space opera novels”. Peter’s writing has a “realistic feel” to it, by paying attention to the family, how they cope with events, their alien pets, and their relationships. Because the story is centred around Jack and Pam’s family, Seregil notes that it obviously has parallels with the classic TV series Lost in Space although there is otherwise nothing in common plot-wise. But that may also mean that it would appeal to readers who don’t normally read space opera, or who like reading about families. Seregil says that the story is “satisfyingly exciting and intriguing” with “well-placed surprises”. The events that unfold were “fascinating” because the “dangerously escalating situation was handled well by the author”. Seregil notes that there is a good balance between excitement and entertainment, and the sparing use of humour spices up the story in a nice way. Seregil’s conclusion is that Franchise is good, entertaining science fiction – relaxing escapism, despite the fast-paced story. Read Seregil’s full review on RisingShadow here. 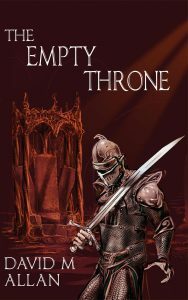 On RisingShadow.net, Seregil of Rhiminee has reviewed The Empty Throne by David M. Allan. 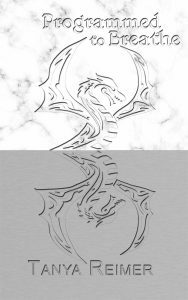 He starts by describing it as an “intriguing debut” because it’s “a high fantasy novel that contains elements of epic fantasy, adventure fantasy and portal fantasy” and is ideal for readers who like “fantastical and light escapism”. Seregil says David’s story “moves swiftly forward and the author keeps up a steady pace”. He adds that it “has a classic and traditional feel” which is rare nowadays, and admits to having a soft spot for this kind of fantasy and loves traditional fantasy fiction. He says the world is described well, and much of the “fascination of this novel” comes from the author’s way of writing about how the characters protect the world. He says he was “surprised to find a coming of age tale in this novel, because I didn’t expect it” and was also intrigued to find out that romance is part of the storyline, which he enjoyed and which “lightened the story in a good way”. He concludes by saying that The Empty Throne is “intriguing fantasy entertainment, because it combines action, adventure, magic and politics”. His final verdict: It’s good and fun escapism for those who want to take a break from reality. Read Seregil’s review on RisingShadow here. 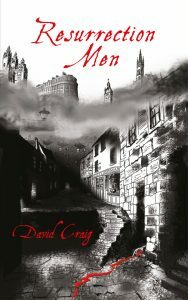 On RisingShadow.net, Seregil of Rhiminee has reviewed Resurrection Men by David Craig. He starts by describing it as “a captivating and enjoyable reading experience” and goes on to say that it is “one of the most thrilling debut novels I’ve read in ages”. In a long, positive review, Seregil says that he loves “dark and well written stories” and enjoyed David’s gradually unfolding, layered story. “What makes Resurrection Men special” he says, “is that it’s a fresh combination of historical urban fantasy and gothic historical fantasy with horror and mystery elements” with “an original take on supernatural elements”. He adds that he likes David’s “vision of the supernatural, because he takes his time to ground his story in reality before delving deeper into supernatural elements”. He concludes by saying that David Craig is a talented new author, whose writing style is “satisfyingly fluent” and who “effortlessly spices up his dark story with bits and pieces of humour”. He is looking forward to reading the next instalment in the Sooty Feathers series, because he “liked this novel a lot and loved the ending”. On her blog, Jill-Elizabeth has written a review of Resurrection Men by David Craig, the first book in his Sooty Feathers series. She starts with an apology that she can’t write a long review because the book is so “well-crafted and full of the right kind of surprises” that it’s hard to describe without giving too much away – she wouldn’t want to spoil the enjoyment for a potential reader with an overly revelatory review. After introducing her review with “What a great find!”, she goes on to say that she “thoroughly enjoyed it, and cannot wait for the next in the series”. She describes it as an original take on the supernatural topics covered – “no small feat” – and says the gothic writing is “gorgeous” and “perfectly suited to the tale”. The two principal characters, Hunt and Foley, she compares to Mulder and Scully as a great mix and foil for each other, while the Sooty Feathers are “a delicious evil”. Read Jill-Elizabeth’s full review on her blog here (it’s also on Goodreads and Amazon with 5 stars). 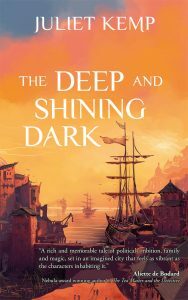 On Risingshadow.net Seregil of Rhiminee has just reviewed The Deep and Shining Dark by Juliet Kemp, the first book in the Marek series. 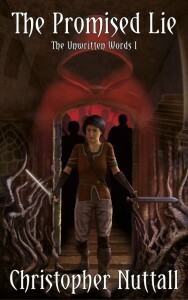 Describing it as a “strong debut novel from a talented new author” Seregil compliments Juliet on having produced an entertaining and well-written fantasy with “subtle complexity, good worldbuilding and fluent characterisation”, saying that it was “one of the most positive reading experiences I’ve had this year”. 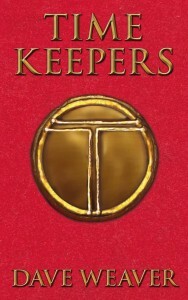 Admitting that he read it in one sitting because “The story immediately pulled me in and didn’t let go until I’d reached the end”, Seregil says that the story “flows effortlessly and becomes increasingly intriguing” as it “immerses readers into the story right alongside the protagonists and takes them on a fascinating journey” that is “filled with intrigue, politics and magic”. The characterisation is “interesting and realistic” because Juliet “pays attention to their lives, feelings, flaws and problems, making them as real as possible”. The worldbuilding is “effortless” presenting a vibrant vision of the citystate of Marek that is “believable”, paying attention to “cultural differences and … how the Houses maintain control”. 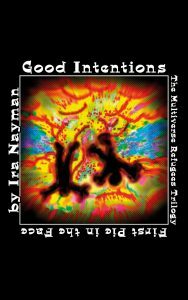 The magic is “interesting”, the politics “intriguing” and “LGBTQ elements handled fluently”. Seregil says that he is looking forward to reading the instalment in this series, because this is a “promising and strong start” that he enjoyed. 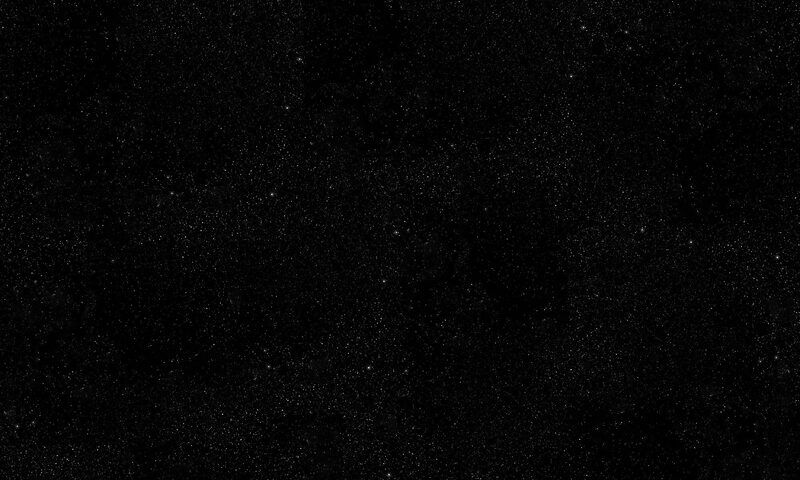 He recommends The Deep and Shining Dark as “captivating and well-crafted” fantasy. On his Comic Book News UK website, Benjamin Williams has reviewed Mike French’s latest novel Fictional Alignment. Fictional Alignment is a sequel to An Android Awakes, which Benjamin previously reviewed (“something that is to be admired”). He starts by saying that it is tough to explain the plot of Fictional Alignment, not because the plot itself is tough but because there’s “just so much happening”. However he goes on to give a reasonable outline of the plot, followed by “Sounds completely mad, right? That’s because it is. It’s also incredibly hilarious.”. Benjamin likes the fact that there is so much going on that it’s “impossible to become bored”. He likes the various science fiction references that are included, not gratuitously but “that fit the story”. For him the best character was Heisenberg (one of the androids), who “is awful and seemingly uncaring throughout most of the book”, but is “quite funny” and usually delivers the best lines; as a result, he adds, much of the chaos in the book is because of Heisenberg. As the story is playing with time travel and androids trying to be human in the past, using future technology that isn’t always fully explained (because it’s funnier that way), Benjamin says it can leave you scratching your head a little, but that’s “all part of the madness that you just need to embrace when reading it”. Although it has a different premise and feeling from An Android Awakes, Benjamin says Fictional Alignment is a “worthy sequel” but “it does leave a question over where French can take the story from here”. You can read Benjamin’s full review on Comic Book News UK here. On his blog Shelf Abuse, Carl Doherty has just reviewed Fictional Alignment, which he introduces as Mike French’s “sequel to the brilliantly bonkers An Android Awakes”. Describing the book as “grand and eclectic” he adds that “it’s never boring or short on style or ambition”. He says he absolutely loved Fictional Alignment, perhaps even more than An Android Awakes (which he reviewed in 2015 as “I bloody loved it”), adding that it’s “quite unlike anything I’ve ever read. Mike French is a distinct voice in a genre that too often not only settles for the derivative but is expected to do so by its readers.” Mike’s writing, Carl says, “has more in common with British comics than prose”, it is “punky and anarchic” and “closer in tone to the cheeky satire of classic 2000AD than anything else I can think of”. Carl concludes by saying that Mike’s “idiosyncratic irreverence and boundless creativity make Fictional Alignment a demanding but unforgettable read”. You can read the whole of Carl’s review on Shelf Abuse here.